MADISON, Wis. – Tomah VA Medical Center officials have insisted that no “compromised medications” were distributed to veterans in December following a prolonged heat surge in the facility’s outpatient pharmacy. “On that Monday (Dec. 18), for at least four hours, I would say between 100 and 200 prescriptions went out,” the source said. A source with inside knowledge of the incident disputes the administration’s assertions. “They are hiding the truth about the situation and all the meetings and phone calls made. Medicine did go out, but no one will talk because they used threats to keep people quiet,” the source, who asked not to be identified for fear of reprisal, told MacIver News Service. Earlier this month, MacIver News updated its investigation into the climate-control malfunction, which occurred on Dec. 17, 2017. Records obtained through a Freedom of Information Act request confirmed what sources had earlier reported, and much more. In late December, sources contacted MacIver News Service to report that the temperature inside the medical center’s outpatient pharmacy spiked to as high as 97 degrees for at least an hour. According to records, temperatures did surge to 97 degrees, and stayed high longer than sources knew. A bad air compressor in the air conditioning system appears to be the cause of the temperature spike. Not correct, according to the Tomah VA insider. Many of the VA documents, however, are redacted, with several pages blacked out. The redactions make it impossible to know whether the communications include information on the release of compromised medicines or, as sources have told MacIver News Service, the temperature spike had been a problem in the past. But that wasn’t MacIver News Service’s question. The question specifically asked about “heat-compromised” medications being distributed to veterans. “Your question addressed ‘head compromised’ medications – meaning to me that these would be negatively impacted. The answer would still stand on that understanding,” Gowan wrote back. Again, MacIver asked Gowan whether Tomah VA employees sent out to patients any of the medicines that had been subjected to the heat surge. Gowan did not answer that email. One source says after MacIver broke the story in early January, management was “threatening everybody,” looking in the pharmacy and beyond for those suspected of leaking information. “Thank you to you all for stepping up to the plate and pitching in,” Johnson wrote to several pharmacy employees. Johnson was expressing thanks for the work staffers did in ordering and filling prescriptions that were knocked out by the heat surge, according to the Tomah VA insider. Some of the medications subjected to the higher temperatures were given to veterans until staff was instructed to stop doing so, the source said. “They didn’t want to file a claim with the insurance company,” the source said. Gowan in January acknowledged that the “outpatient pharmacy experienced a temperature fluctuation on December 17, 2017, and was fixed the same day,” and that outpatient pharmacy staff “reviewed stability recommendations of its medication inventory and reordered items as necessary.” He said patient care was not affected. The incident forced the medical center to set up an alarm system that will now alert police when temperature spikes occur, according to scores of email communications and other records obtained in the Freedom of Information Act request. The cost for “replacement of pharmaceuticals and supplies” was estimated at $60,000. “Additionally, we had staff putting in extra time on the 18th to reorder and the 19th to restock shelves so there will be a small spike in our OT budget,” a VA official noted. The names of most of the individuals on the email, including its author, are redacted. 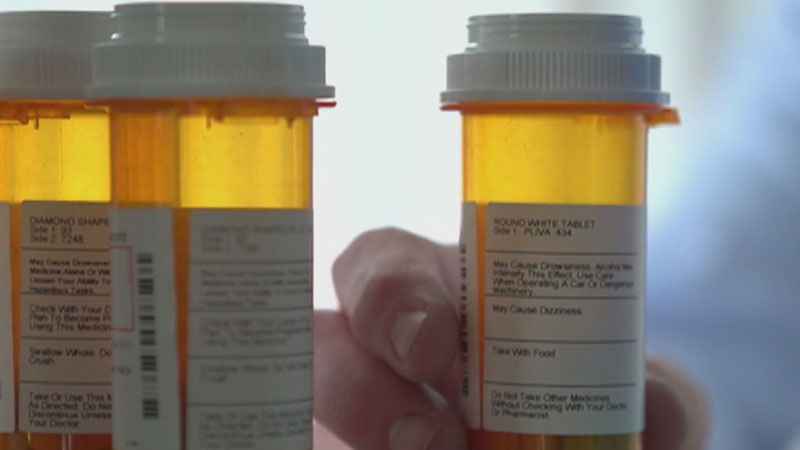 As MacIver News reported at the time, exposure of medicines to high temperatures can reduce their efficacy, in some cases causing serious health problems. A Tomah VA official acknowledged as much in an email on the day of the temperature spike. “Anywhere that we store medications needs to be protected from extreme temps,” the email stated. Again the sender’s name was redacted. Tomah VA officials were clearly concerned about the integrity of the medicines, emails show. One official noted studies published on particular drugs, such as cholesterol-fighting Simvastatin and Lovastatin, and said one study would help “answer some questions about stability similar to Harvoni,” medication used to treat Hepatitis C.
One email from Williams, with the subject line “destructions of heat excursion medications,” included a three-word response: “Try to recoup.” The next couple of pages of records are blacked out. A highly redacted issue report titled, “Temperature deviation in Outpatient Pharmacy” notes concerns about medicine integrity. The government facility was dubbed “Candy Land” because of the overprescription practices, which led the death of at least one veteran. And multiple reports came down hard on Tomah VA managers and supervisors for covering up violations and, as a Senate report found, retaliating against whistleblowers who tried to shine light on misconduct. Whistleblowers, according to reports, were often told by supervisors that they were blowing things out of proportion.